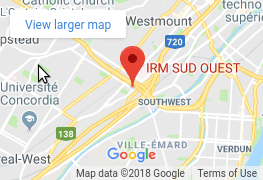 IRM Sud Ouest is pleased to announce its new Ultrasound department. IRM Sud Ouest has acquired a most advanced ultrasound machine to serve our patients needs in a timely manner. Our new machine can provide the highest quality images in order to provide most accurate results. Ultrasound is a real-time imaging technique that uses high-frequency sound waves to evaluate tissues and organs throughout the body. This type of imaging is known to be safer than X-rays and CT scans because it does not use ionizing radiation. Ultrasound examination is a non-invasive medical test that helps diagnose and treat medical conditions. An ultrasound exam is crucial in detecting changes or complications in organs, tissues, and vessels or to detect abnormal masses, such as tumors, gallstones, kidney stones, or liver disease by exposing specific body parts to high-frequency sound waves to produce pictures. Preparation for your ultrasound depends on the type of exam—our medical secretaries review this with you when you schedule your appointment. Some ultrasounds require fasting for several hours before the study. You should wear comfortable loose-fitting clothing for your exam. Certain exams may require you to wear a gown, which we provide. We have private dressing rooms with lockers for your clothes and valuables, although we suggest you leave your valuables at home if possible. Bring your referral from your physician. Please bring previous imaging study results, such as X-ray, ultrasound, MRI scans, and CT scans, including reports, CD-ROMs, if available and related to your ultrasound examination. When you schedule your appointment, our scheduling medical secretary lets you know how early to arrive. Depending on the type of exam, this may be 15 to 60 minutes before your scheduled appointment. This allows time for registration and to complete all necessary paperwork, forms, and questionnaires. An Ultrasound is a safe and painless procedure that uses a transducer to transmit sound waves to create an image of the area being examined. During the procedure the radiologist or sonographer technician will apply a water-based gel on the area of interest and scan such area until a desired image is captured. Most ultrasound examinations are completed in about 15-20 minutes. What should I expect after the exam? All of our diagnostic examinations are interpreted by Board-Certified Radiologists. The results of your Ultrasound examination will be sent to your referring physician as soon as they are interpreted. Do you have a requisition form? Submit your requisition and schedule your appointment today. Had the best experience at this clinic today. Found an appointment on the same say, the staff at reception were over and beyond helpful and patient and flexible (which is so rare), and the technician (I wish I remembered his name), made me feel very very comfortable and in good hands for a procedure that was awkward in nature. 100% professional and personable, accommodating and helpful. (Ok, him being very attractive did not help hihi)Seriously though, next time I need a radiology clinic, it’s here I’m coming - no longer the fancy clinics downtown.Guys, awesome job!! This was my first time here and it was great...was in and out within an hour. Staff was great and made me feel very comfortable, as I suffer from anxiety in situations like these. A special thanks to Kiran for taking care of me right away going in and for booking my second appointment to accommodate my schedule right after my visit was finished. Will see you soon!! UPDATE: December 31st problem fixed immediately at opening hours. Had a problem making an appointment but was treated very well once the mistake was brought to the attention of the clinic and the problem was fixed right away. I was told by the receptionist that it was an exception that this happened to me and that it did not reflect the standards at this business. As my first experience here went very smoothly, I do believe that this was a one-time thing and likely due to the confusion of the Christmas holidays. I greatly appreciate the speed at which this problem was handled and the politeness both on the phone and in email correspondences. This was my initial Google Review made December 29th: Second time here. The first time it was easier to get an appointment, although the appointment was for over a month after the initial doctors appointment and not ideal. This time my experience has been horrible. I dropped off a referral for an ultrasound in person on December 19th, where the receptionist told me that I would be called the following day to make an appointment. It is now December 29th and I have yet to be called. I tried calling and was left on hold without talking to a living person for a half an hour. Very good experience. Did an Ultra sound and MRI there. The staff were very helpful and comforting. Amazing Clinic, wish this is what all clinics are like. Booking an appointment took less then 24hrs amazing! One of the few places in Montreal that can do leg soft tissue damage analysis with ultrasound. Super nice and kind staff. They gave me an appointment within 2 business days after my application with my RAMQ card while others suggested 3 month wait time. Definitely recommending them.